upper corner , originally uploaded by RamonaX. 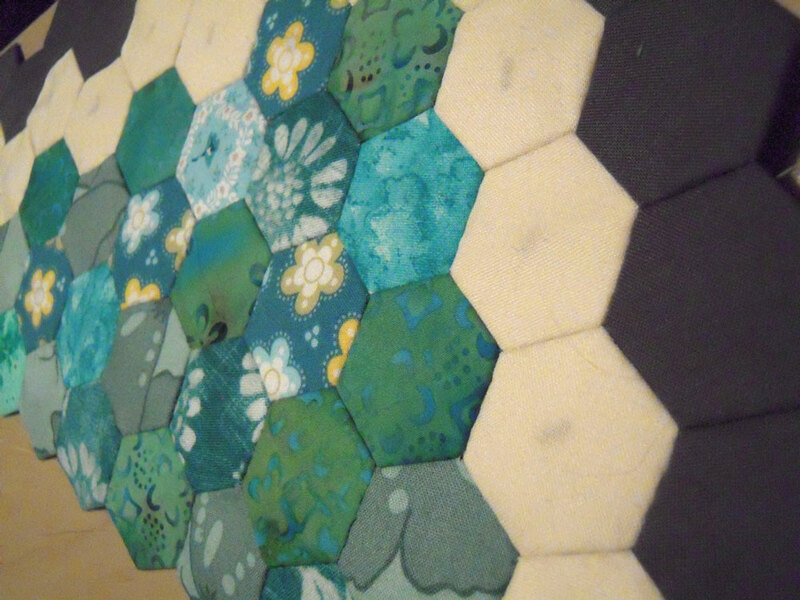 I just started putting the squid quilt together ~ this is the upper right corner. Super happy with how it’s coming out too! 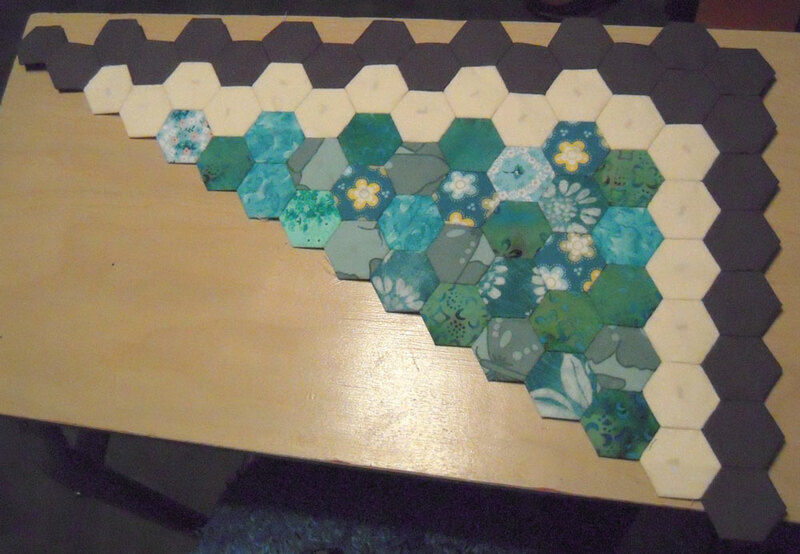 I have all the rows made and now I’m making and adding on the extra cream and grey hexies then sewing the whole row onto the existing piece. With each row I get happier and happier with how it’s looking! Even though it’s all laid out on the table, it looks so much better when it’s actually stitched together! Wait! I should be happy I HAVE 2 hours a day to sew and stop this complaining – right? right! Also, if I curb some of my eating habits back to pre-Thanksgiving I know that can beneficially affect my joints and make them feel a little better. Avoiding dairy and sugar helps the most for me. Here’s a pic with a few more rows I have finished up… and an up close shot.